This is my first collection of garments and other items to knit for the doll’s house. All the patterns are very quick and easy to knit using 2 ply yarn. 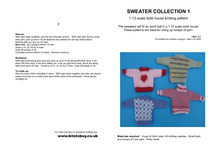 This is my second collection of garments and other items to knit for the doll’s house. All the patterns are very quick and easy to knit using 2 ply yarn. I have designed this easy to knit miniature knitting pattern for the dolls house in 1:12 scale. The finished tiny toys are about one inch tall and are knitted using 2.00mm needles. They are very easy and quick to knit, and look most effective in the dolls house nursery. 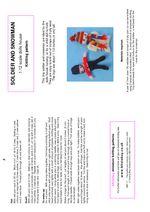 I have designed this easy to knit miniature knitting pattern for a set of winter clothes for dolls of about 6 inches tall, just right for a dolls house in 1:12 scale. They are very easy and quick to knit. I have designed this easy to knit miniature knitting pattern for the dolls house in 1:12 scale. The finished outfit will fit a doll about 6 inches tall. 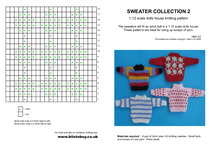 I have designed this easy to knit miniature knitting pattern for the dolls house in 1:12 scale. It produces designs for four sweaters to fit a doll about 6 inches tall. I have designed this easy to knit miniature knitting pattern for the dolls house in 1:12 scale. The finished outfit will fit a doll of about 6 inches tall. 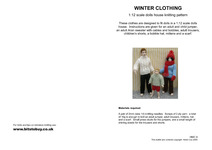 I have designed this easy to knit miniature knitting pattern for the dolls house in 1:12 scale. 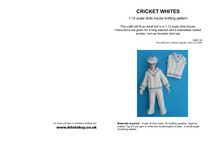 It makes a set of cricket whites suitable for a doll of about 6 inches tall. 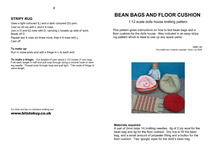 I have designed this easy to knit miniature knitting pattern for the dolls house in 1:12 scale. 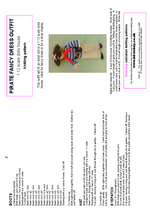 It provides instructions to make three different sweaters with patterned yokes for a doll about 6 inches tall. 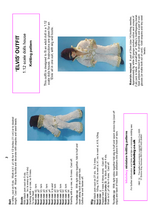 I have designed this easy to knit miniature knitting pattern for the dolls house in 1:12 scale. 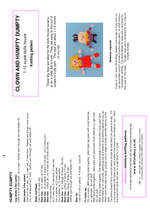 It provides instructions to make four different designs of sweaters for a doll about 6 inches tall. 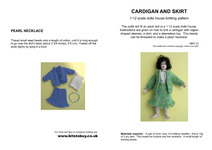 I have designed this easy to knit miniature knitting pattern for the dolls house in 1:12 scale. 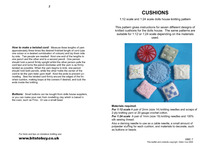 It produces bean bags, floor cushion and a rug for the dolls house. 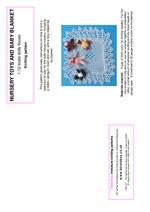 I have designed this easy to knit miniature knitting pattern for the dolls house in 1:12 scale. 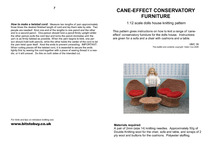 It produces a complete set of ‘cane-effect’ furniture suitable for a dolls house conservatory, complete with cushions. 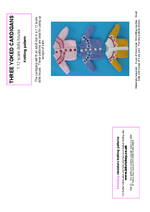 I have designed this easy to knit miniature knitting pattern for the dolls house in 1:12 scale. I have designed this easy to knit miniature knitting pattern for the dolls house in 1:12 scale. 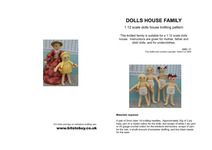 It produces a complete family for the dolls house, with the adult dolls about 6 inches tall. All ready to dress in your favourite outfits. I have designed this easy to knit miniature knitting pattern for the dolls house in 1:12 scale. 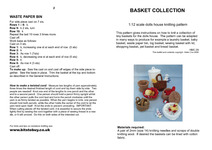 It produces a selection of baskets including laundry, log, pet, baby, wastepaper, knitting and shopping baskets. I have designed this easy to knit miniature knitting pattern for the dolls house in 1:12 scale. It makes a tiny moses basket about 2 inches long which can be decorated with lace and ribbons. 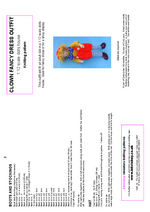 The pattern for the tiny duck toy is also included. I have designed this easy to knit miniature knitting pattern for the dolls house in 1:12 and 1:24 scale. 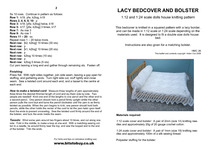 It makes a cotton lacy bedcover with matching bolster, which looks most effective in a Victorian dolls house. 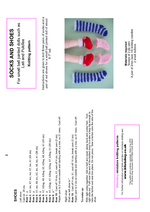 I have designed this easy to knit miniature knitting pattern for the dolls house in 1:12 scale. 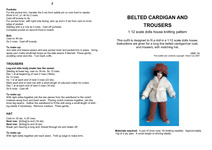 The finished outfit of cotton trousers and funnel neck sweater will fit a doll of about 6 inches tall in the dolls house. 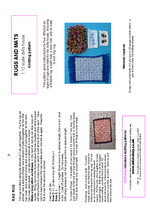 I have designed this easy to knit miniature knitting pattern for the dolls house in 1:12 scale. 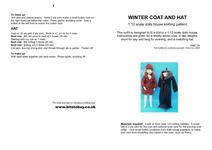 The finished outfit of coats and hat will fit a doll of about 6 inches tall in the dolls house. 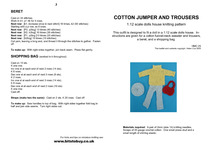 I have designed this easy to knit miniature knitting pattern for the dolls house in 1:12 scale. 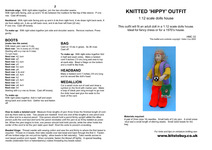 The finished ‘Hippy’ outfit will fit a doll about 6 inches tall. 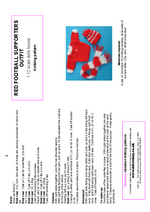 I have designed this easy to knit miniature knitting pattern for the dolls house in 1:12 scale. The finished outfits will fit a girl doll of about 4-5 inches tall in the dolls house. 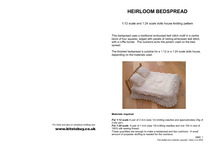 I have designed this easy to knit miniature knitting pattern for the dolls house in 1:12 scale. The finished tiny toys are about one inch tall and are knitted using 1.0mm (US size 00000) needles. 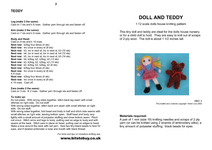 They are very easy and quick to knit, and look most effective in the dolls house nursery. 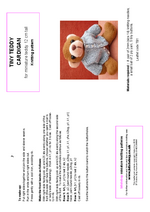 I have designed this easy to knit miniature knitting pattern for toys for the dolls house in 1:12 scale. The finished tiny toys are about one inch tall and are knitted using 1.0mm (US size 00000) needles. 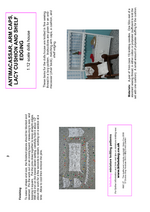 I have designed this easy to knit miniature knitting pattern for the dolls house in 1:12 scale. 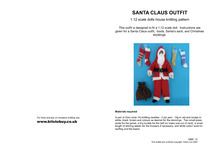 The finished Santa Claus outfit will fit a doll of about 6 inches in height. I have designed this easy to knit miniature knitting pattern for the dolls house in 1:12 and 1:24 scale. 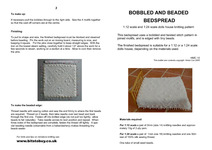 The finished bedspread has a pattern with running stitches and bobbles, and is trimmed with tiny beads. Looks stunning in the dolls house bedroom. I have designed this easy to knit miniature knitting pattern for the dolls house in 1:12 and 1:24 scale. I can also provide the yarn required, and the needles too. They are very easy and quick to knit, and look most effective in the dolls house living room or bedroom. 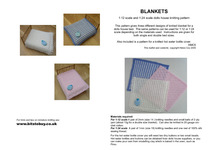 I have designed this easy to knit miniature knitting pattern for dolls house blankets in 1:12 and 1:24 scale; I also supply yarn and needles too. 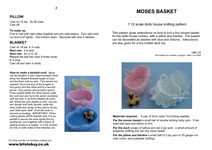 They are very easy and quick to knit, and are essentials for the dolls house bedroom. 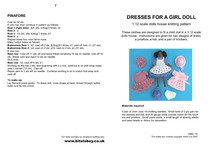 I have designed this easy to knit miniature knitting pattern for the dolls house. It can be knitted in 1:12 or 1:24 scale depending on the materials and needles used. I have designed this easy to knit miniature knitting pattern for the dolls house in 1:12 scale. The finished accessories are suitable for a doll of about 6 inches tall in the dolls house. I have designed this easy to knit miniature knitting pattern for the dolls house in 1:12 scale. The finished doll is about 6” tall. I have designed this easy to knit miniature knitting pattern for the dolls house in 1:12 scale. The finished outfit will fit a doll of about 6 inches tall in the dolls house. I have designed this easy to knit miniature knitting pattern for the dolls house in 1:12 scale. The finished outfits will fit a doll of about 6 inches tall in the dolls house. Instructions are given for 3 pairs of socks, and a pair of shoes to fit a tiny (approx 6” tall) bjd doll such as Lati or Pukerfee. I have designed this easy to knit miniature knitting pattern for the dolls house in 1:12 scale. 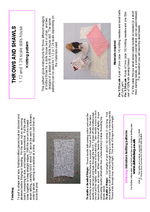 The finished shawls and throws are suitable for a doll of about 6 inches tall in the dolls house.